MIAMI – November 16, 2018 – The Miami Foundation’s Give Miami Day set another annual fundraising record, once again showing Miamian’s tremendous support for area nonprofits and solidifying the day as one of the most active 24-hour charitable giving events in the U.S.
On November 15, 20,795 donors invested $11.5 million into 758 local nonprofits participating in Give Miami Day 2018. Now in its seventh year, the event – held annually on the Thursday before Thanksgiving – has raised $47.5 million for local organizations in every nonprofit sector, from arts and housing to science and technology. 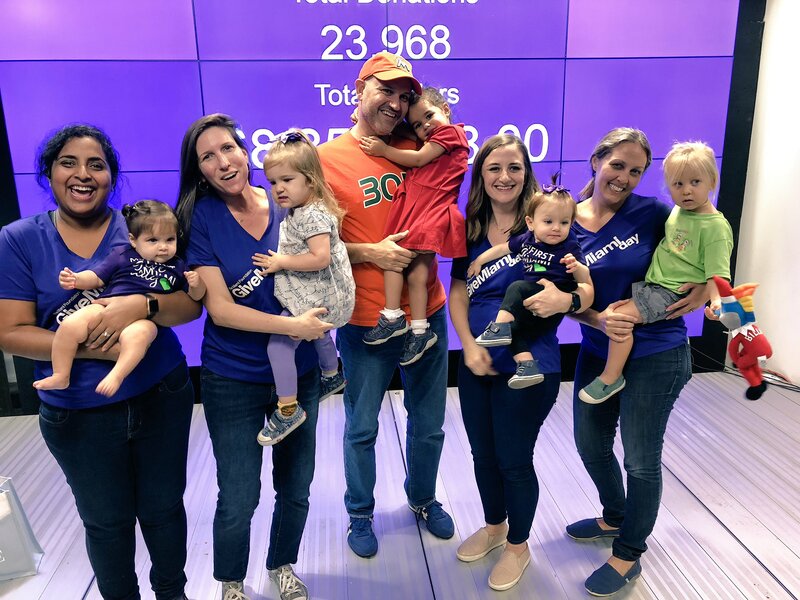 The Greater Miami Jewish Federation was at the top of the Give Miami Day Leaderboard, raising the largest amount with donations totaling $743,831. The Community Arts Program received the highest number of individual gifts, an impressive 673 donations. Among the medium-sized organizations that participated, The Children’s Movement of Florida topped their fundraising category with $142,674 while among small-sized organizations, Gene Spotlight, Inc. raised the largest amount at $264,300 with 311 gifts. The Miami Film Festival received the largest individual gift of $58,230 to help them raise a total of $64,255. By category, the most gifts and dollars raised was in the area of Education & Youth Development, where 10,955 gifts were received totaling $3.5 million. Thanks to the support of The William R. Watts Foundation, Knight Foundation, SEI, Mitchell Wolfson, Sr. Foundation, Stearns Weaver Miller, Berkowitz Pollack Brant, IMPAC Fund, The Ortega Foundation and Bank of America, The Miami Foundation and its partners maximized the community’s generosity by making a bonus gift for every donation between $25 and $10,000 received on November 15. Match Minutes at 10:40 a.m. and 4 p.m. were sponsored by Berkowitz Pollack Brant and Bank of America, respectively. Their sponsorship allowed all donations that came in during those 60-second periods to be matched 100 percent until each of the $15,000 pools were completely used. Give Miami Day is an initiative of The Miami Foundation that furthers its mission of increasing local philanthropy and providing community engagement opportunities for every Miamian. The countywide campaign is a 24-hour opportunity for Miamians to champion the causes that matter most to them. For more information about the nonprofits that participated in Give Miami Day, as well as total gift amounts, please visit GiveMiamiDay.org.